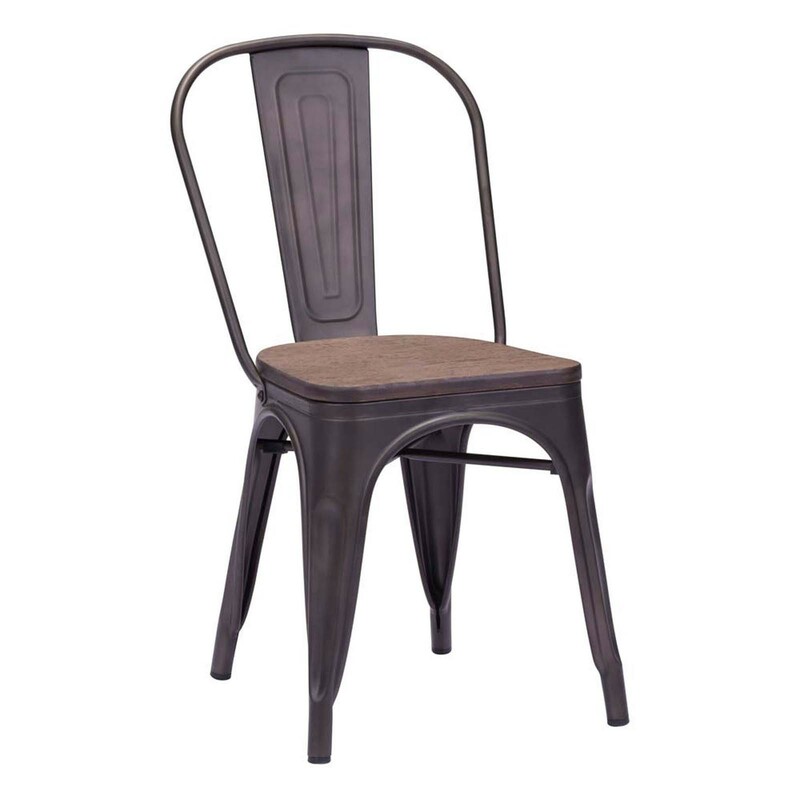 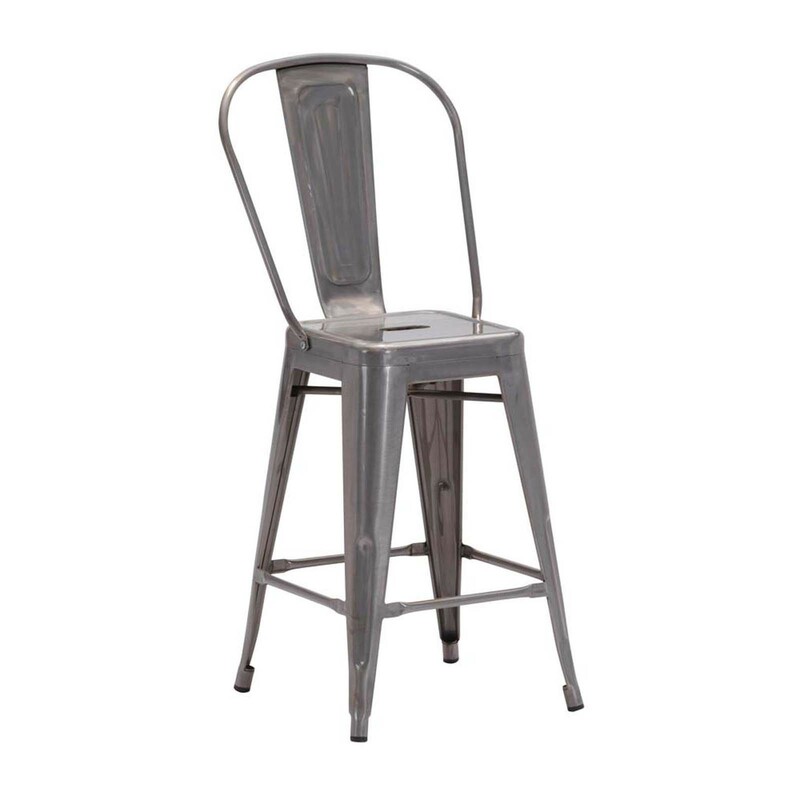 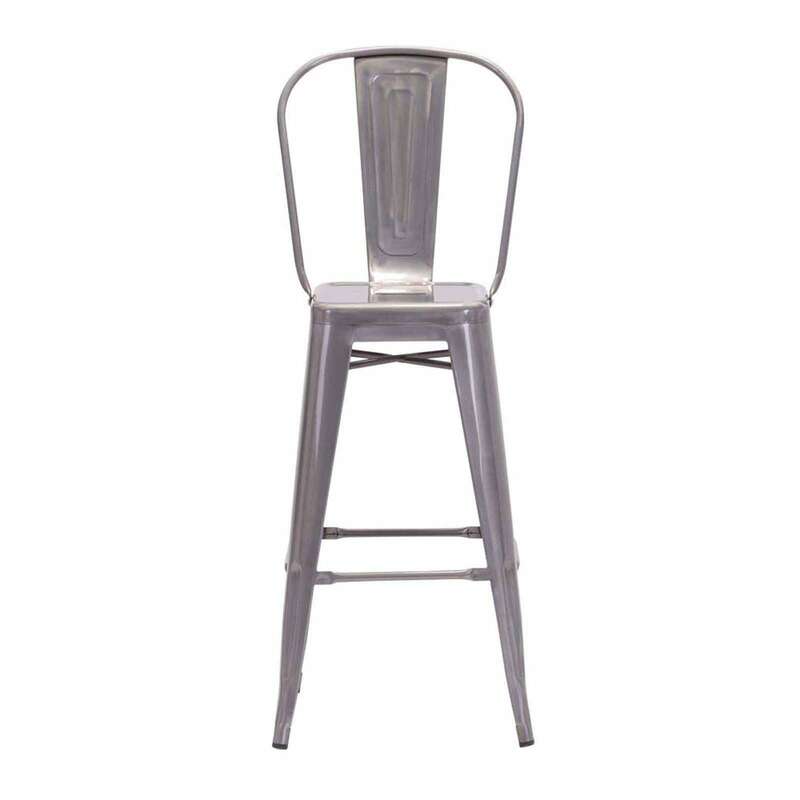 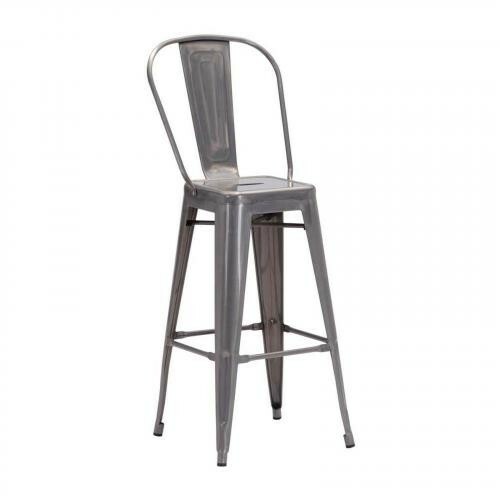 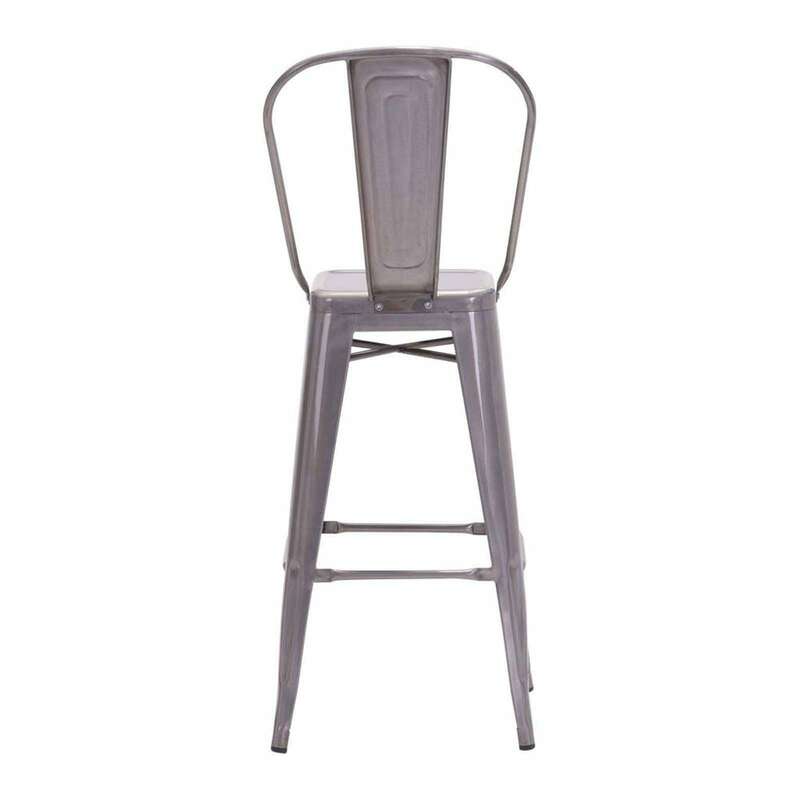 Stunning industrial style Elio bar chair features gunmetal finish. 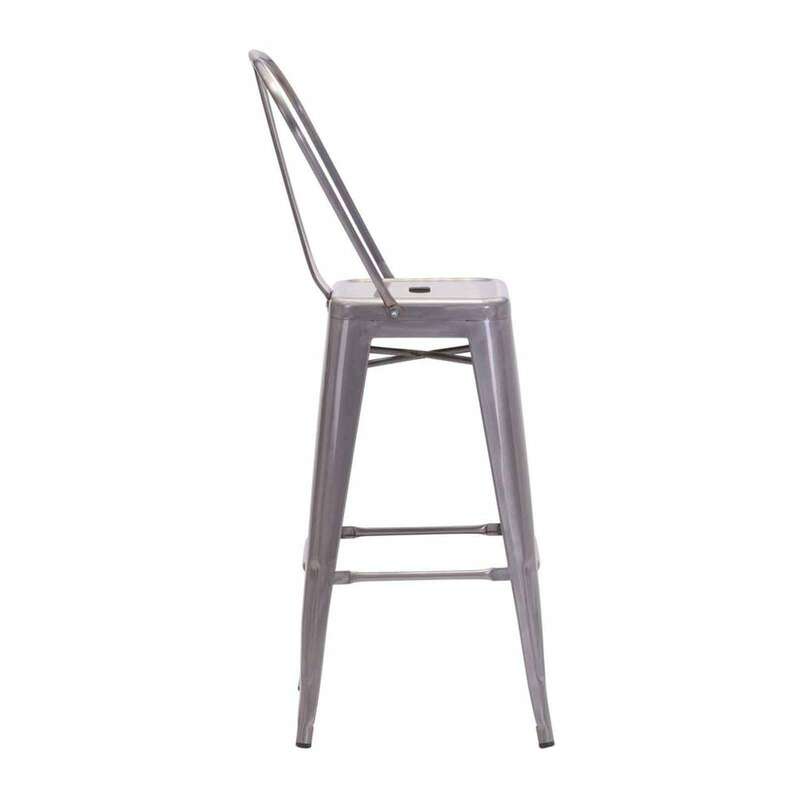 Leg features cross struts for easy foot resting. 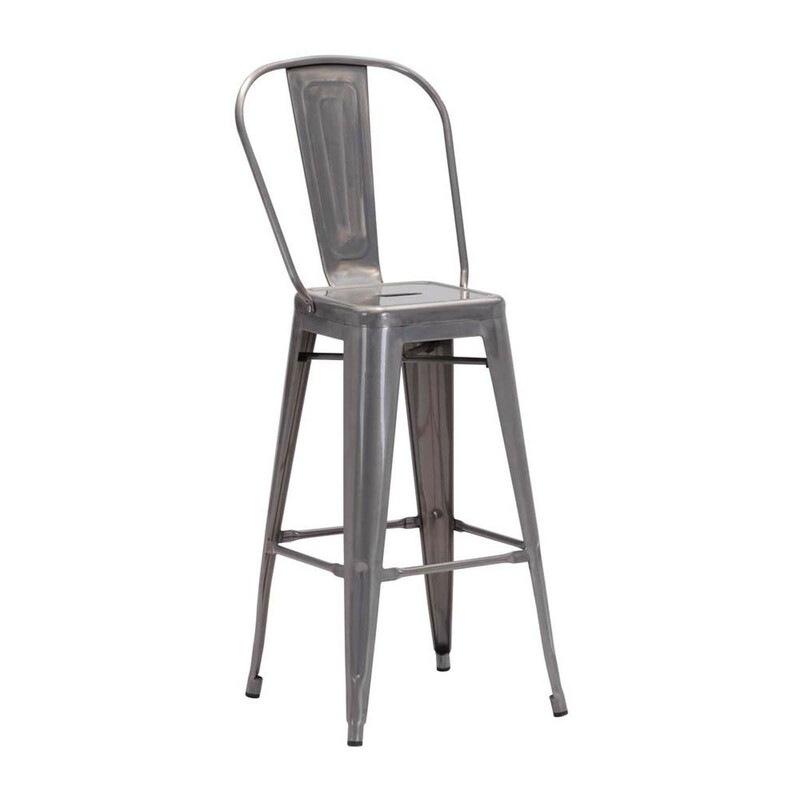 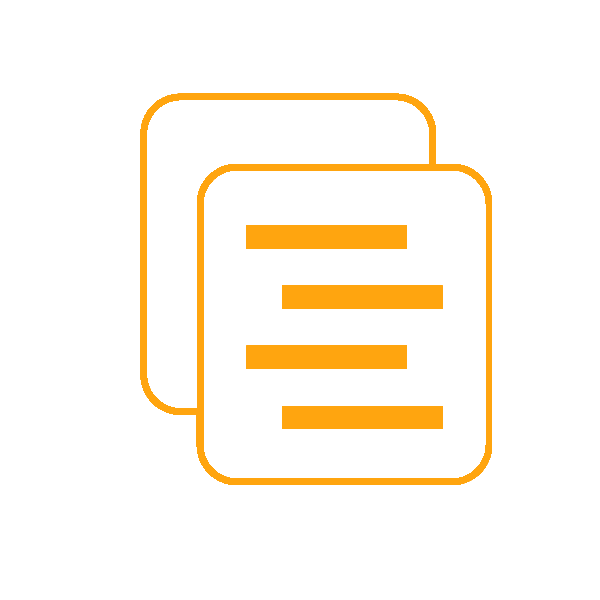 Slim frame supports back and makes for easy handling.